Projects Abroad offers a wide variety of projects for School and College groups to join in the developing world. Our aim is to take the pressure off you by organising safe, rewarding and enjoyable trips for anything from five to one hundred students. Groups not only gain invaluable experience that will look great on their CV’s, but they’ll have the unique chance to contribute to a worthwhile project. Projects Abroad has been specialising in arranging volunteer placements in the developing world since it was founded in 1992. Over the last few decades we have sent over 100,000 volunteers from each corner of the globe to hundreds of different projects across 30 destinations and volunteering as part of a group has grown dramatically during that time. 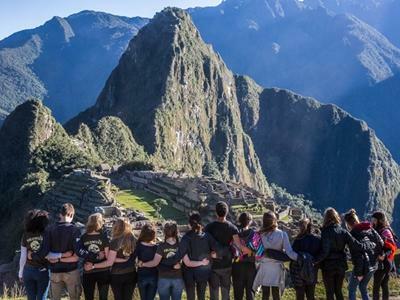 All of these factors are the reason Projects Abroad have been approached by an increasing number of schools and colleges looking to travel abroad, and by joining us your group becomes part of a global community working on meaningful projects. 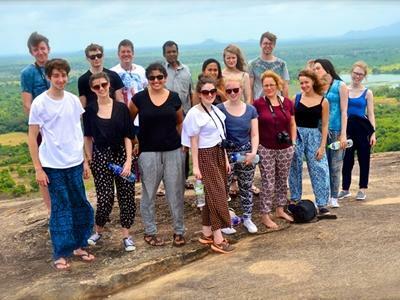 We offer a wide range of volunteer trips which usually result in many school and college groups combining different elements into a single project. Your group could spend a week organising sports for school children in Ghana and the next be building homes for the local community. At Projects Abroad we understand that every group will have their own aspirations for a project, so we offer you the chance to customise your placement - choosing where you go, how long for and when you want to leave and return. You tell us your time frames and we will fit these in with the needs and requirements in our destination countries. If you want to read an example of a previous school and college group, please see Calder High's case study. If you want more information on the types of projects that your school or college group can get involved with, please see here.